Approximately one hundred students graduate from Brent International School Manila each May. Every senior is uniquely gifted and has developed passions and interests that will serve as the foundation for their tertiary education and future career. 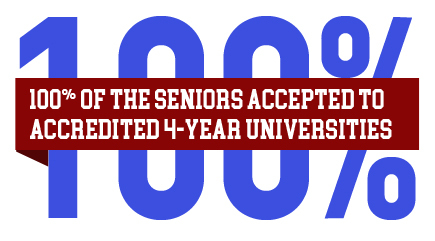 This diversity informs our best-fit approach to the college application process. Brent’s college counselors guide each student on a journey towards a best-fit university where they will continue to pursue their gifts and interests. Parents are an integral part of this process. We encourage parents to participate in the various college admissions workshops offered on campus each year and to come listen to some of the more than one hundred universities that visit Brent annually. The diversity of our students is mirrored by the diversity of universities they attend. In the last few years our students have been accepted to more than 350 universities in over a dozen different countries across North America, Europe and Asia. Finding the best-fit university among so many options requires much more than just knowing a student’s GPA and SAT score. Selective private universities, small liberal arts colleges, and large state schools are a few of the categories that carry both advantages and disadvantages depending on a student’s area of interest. Educating the whole person is a hallmark of a Brent Education, and we are eager to see our students thrive in university and beyond as life-long learners. Knowing one size does not fit all, we invite parents to engage with us in this important process of preparing your children for their educational future. Peruse the universities below where Brent Alumni have been accepted, and start planning for the future.